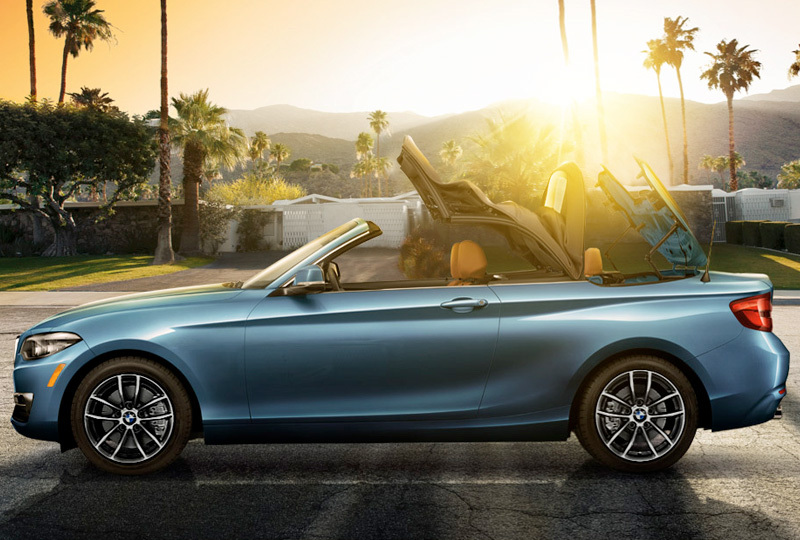 The 2018 BMW 2 Series Convertible from Bert Smith BMW in St. Petersburg, FL, serving Tampa and Palm Harbor, is the perfect excuse for a weekend joyride. When the workday is over, it's time to lower the top on your 2018 BMW 2 Series Convertible and cruise through town. The sports kidney grille and LED headlights are bold displays of luxury, and the 2.0L BMW TwinPower turbo engine has 248 horsepower and performance driving capability. You feel right at home with Sensatec upholstery and the high-gloss black interior trim has pearl chrome accents that shine in the evening sunlight. You've loaded up some bags for you and your partner; the 60/40 split-folding rear seats made finding the extra room a breeze. You pump up the audio on your iDrive infotainment system and use the rearview camera to back out of the driveway. 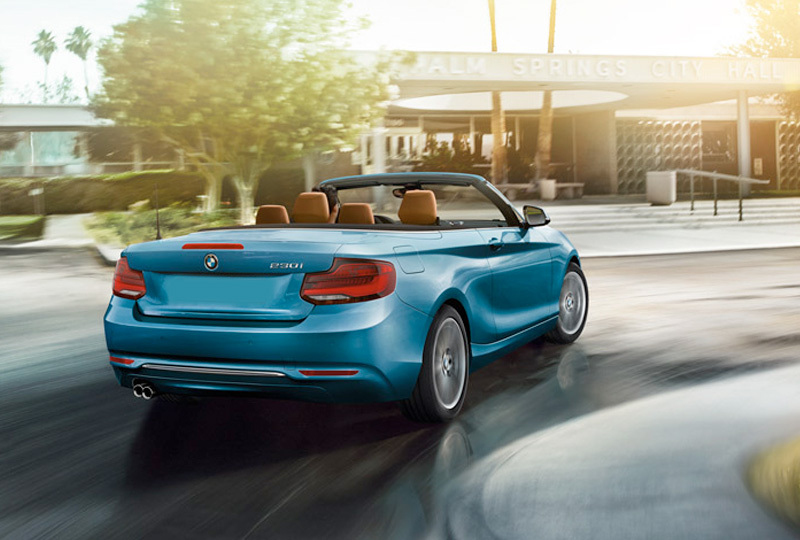 It's time for a weekend getaway in your 2018 BMW 2 Series Convertible. Now is the best time to buy a new BMW! We have an amazing selection of 2018 models at incredible savings, and new auto loan rates have never been lower. Call us at 866-391-7794 to schedule your test drive or stop by 3800 34th Street North in St. Petersburg. We can't wait to help you fulfill your dreams of owning a new 2018 BMW 2 Series Convertible! Get ready to feel the road. 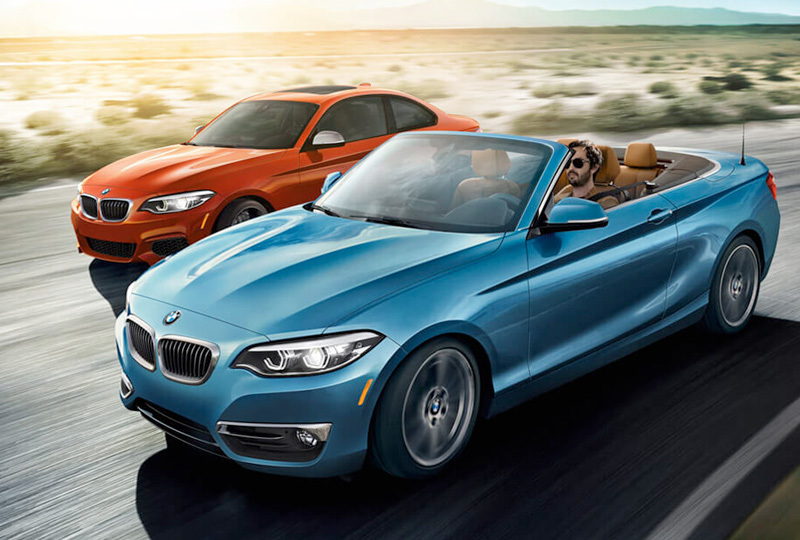 The 2 Series Convertible combines near-perfect 50/50 weight distribution, fine-tuned handling, and an engine that delivers up to 335 horsepower4. It's a technological achievement that feels like driving analog. Top down without the slow down. The sound-reducing soft top opens or closes in 22 seconds ‐ whether you're driving at speeds up to 30 mph, or using Comfort Access to operate it remotely with the key fob. A revered inspiration. The clean, classic speedboat design of its predecessors gets an updated expression in the 2 Series Convertible. A level shoulder line flows into a slightly raised soft-top compartment, making elegant, fluid lines that evoke the cruising spirit. Feel the freedom. BMW Dynamic Stability Control provides maximum traction when accelerating, locking the vehicle to the road. 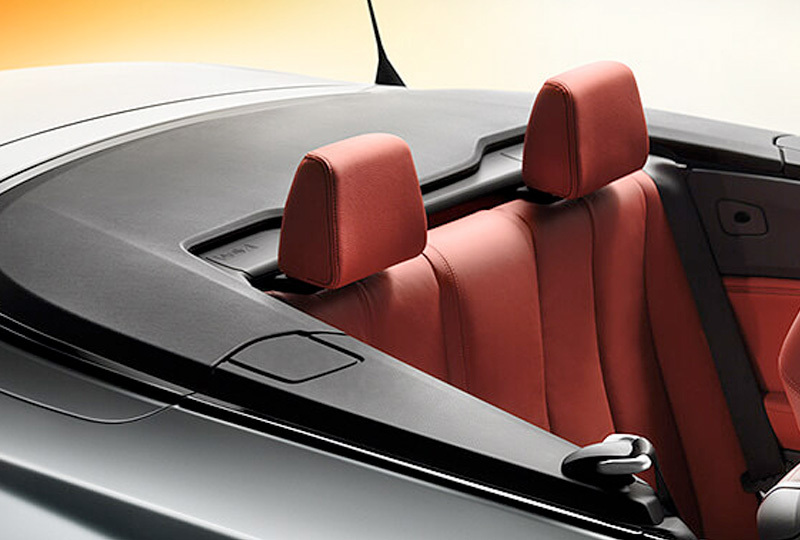 And when you want to take it easy, Active Cruise Control keeps you comfortably under way in the 230i Convertible.